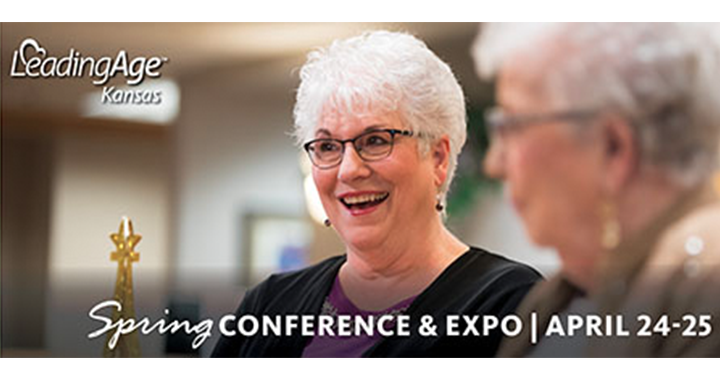 The LeadingAge Kansas Spring Conference & Expo will take place April 24-25 in Wichita, Kansas. Here, nonprofit aging services come together to gain insight into the latest updates and policy changes in healthcare. Pathway Health’s Leah Killian-Smith and Stacy Jones are attending and networking with healthcare professionals to offer workforce tips and best practices as the industry changes. Visit the Pathway Health booth April 24 from 9:30 a.m. – 2:30 p.m. and from 4:15 p.m. – 6:00 p.m. to connect with our team and learn more. “Now That it is Here, How is it Going? – Reviewing the Requirements of Participation from Phase 1 and Phase 2,” presented April 24 from 11:00 a.m. – 12:30 p.m.
“New Survey Process Member Panel,” presented April 24 from 2:45 p.m. – 4:00 p.m.
“New Requirements of Participation: Facility Resource Assessment,” presented April 25 from 10:45 a.m. – 11:45 a.m.